Here are the best ways of getting to the Plitvice Lakes National Park by bus from other parts of Croatia – including Zagreb, Zadar, Split and beyond. There aren’t any airports that are especially close to the Plitvice Lakes but as most will usually take a trip to the Lakes as part of their holiday to Croatia, they are prepared to undertake a bit of travelling to appreciate the full beauty of this gorgeous park! Zagreb Airport is a good option to fly to to reach Plitvice – it is about 140km away. From Zagreb Airport, take a connecting bus (they wait outside the terminal building) to the main bus station in Zagreb. 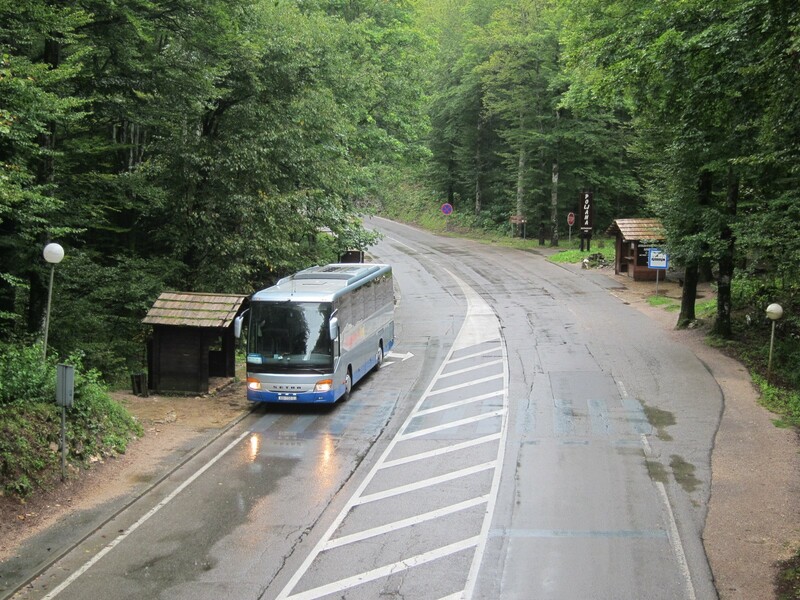 From here, you can then take one of numerous buses to the Plitvice Lakes; journey time is about 2 hours 20 minutes. You can book tickets on the Zagreb Bus Terminal website. 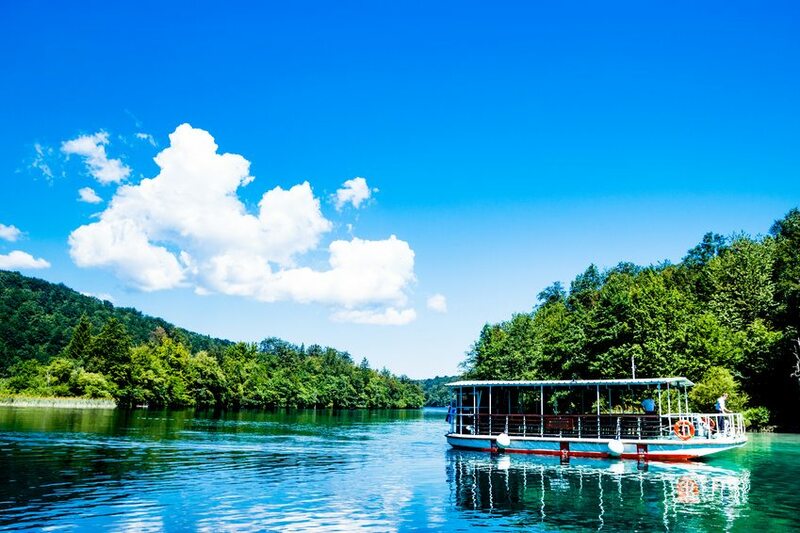 Given the travel time, and the timing of buses there and back, it’s certainly very possible to take a day trip with public transport from Zagreb to the Plitvice Lakes. You can also book an organised excursion to the Plitvice Lakes with Viator – they have both Small-Group Plitvice Lakes National Park Day Trip from Zagreb and Private Tour: Plitvice Lakes Day Trip from Zagreb options. Zadar Airport is the technically the closest airport to Plitvice, at about 130km away. More and more airlines now fly to Zadar Airport, so it’s actually not a bad place to start from if you’re planning a visit to Plitvice Lakes. If you do find yourself flying to this airport, take a connecting bus to Zadar Bus Station; then another bus from here to Plitvice. Journey time is about 2 hours. Timings of buses mean it’s very possible to make a return trip in a day! For ease, purchase a return ticket from Zadar Bus Terminal to Plitvice Lakes before you go. Visit Croatia Recommends If you’re looking for an organised excursion from Split, Omis or Makarska, Sunspot Tours offer small group or private tours from these coastal towns direct to the Plitvice Lakes National Park. This highly-rated company can organise private and flexible tours for individuals, families or small groups using impeccably maintained vehicles with friendly drivers. Alternatively, you can also book yourself onto a small group tour with other travellers – these tours use small minivans, so no large and crowded tour buses here! Ultimately, Sunspot Tours can offer fully customisable tours to the Plitvice Lakes – contact them to find out what they can do for you. During the summer months (especially during July and August), it is possible to use buses to make a day trip to Split. However, that does involve quite a lot of travelling (about 7-8 hours in total) in one day. Ideally, it would be best to spend at least one night in the Plitvice region before returning to Split. Check out times on the Split Bus Terminal website. You could certainly stop off at the Plitvice Lakes if you’re travelling from, say, Zagreb to Split (or vice versa). To make your journey a bit easier (but ensuring no ‘leg’ is that long), it might be nicer to travel Zagreb – Plitvice Lakes – Zadar – Split. But to make the trek, you can take one of the frequent daily buses from Dubrovnik to Split, and then another from here to the lakes. It’ll take you a long time, however! Although Rijeka Airport isn’t all that far from Plitvice, it’s not an ideal place to fly to as there aren’t direct travel connections to the Park. After transferring from the airport to Rijeka Bus station, you would then most likely have to take a bus to Karlovac (journey time 1.5 – 2 hours), and then another bus from here to Plitvice Lakes (journey time 1 hour 20/30 minutes). You can use the Zagreb Bus Terminal website to look up timetable details for both legs of this journey. All in all, it’s a little tricky to try and do a day trip from Rijeka to the Plitvice Lakes! If you’re travelling from elsewhere in Croatia to Plitvice, take a bus to one of the above places and change for another bus from there. Buses to the Park should stop outside both Entrance 1 and Entrance 2 – you can always ask your driver to make sure. However, you are unlikely to be the only traveller disembarking at either stop! You can also book an organised excursion to Plitvice Lakes from a wide variety of other towns and resorts in Croatia. Call in at a local travel agent for details (you’ll normally see trips to the Plitvice Lakes advertised everywhere); the one-day round trip will normally take all day (so, a little bit on the tiring side) but it may well be worth it if you weren’t otherwise planning on travelling to or nearby this part of the country. If you’re travelling from either Zadar or Zagreb, we’d probably suggest sticking to public transport. Trips from either city can easily be done in a day, you can go at your own pace when visiting and exploring the park, and your round-trip will also be significantly cheaper! The Plitvice Lakes Park and region doesn’t have a proper bus terminal – rather, small wooden huts (see above) close to the two entrances where you can wait for buses. These should have details of bus departure times; if in doubt, check at the entrance of the Park as times will definitely be posted there. If you don’t have a return/onward ticket – purchased from Zadar or Zagreb Bus Terminals, for example – buy your bus ticket from the driver once onboard the bus.